Dr Philomina Karthigesalingam’s has successfully completed her sponsored walk on 29th June and managed to raise nearly £6000 including gift aid. This is a massive achievement by the consultant and should be applauded by all of us. I would like to express our gratitude to Dr Phil on behalf of Assist RR and people of PTK for her selfless effort towards assisting our people affected by the war. 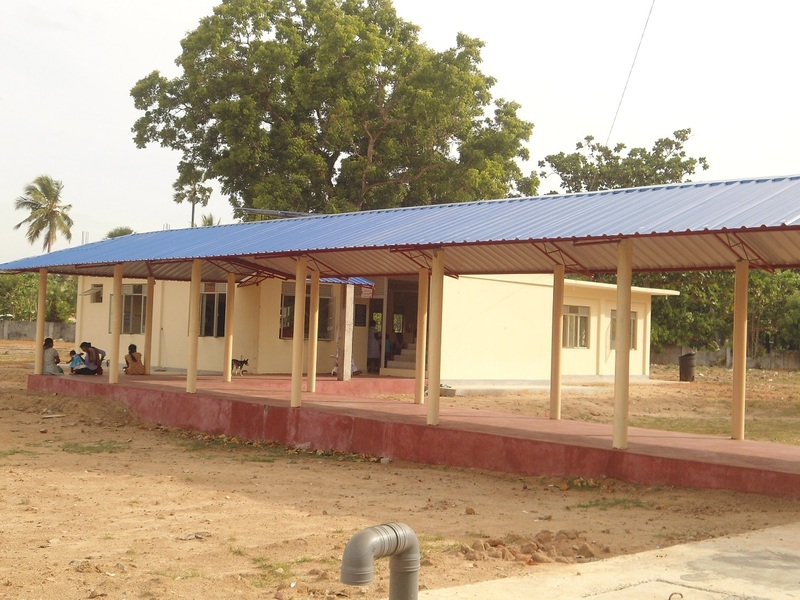 Dr Phil’s hard walk gave us the confidence that we can start thinking about the first floor ward that was needed to be built at PTK hospital on top of the ground floor ward that was built by Assist RR (please see attached photos). Assist RR also made a specific appeal for building the first floor ward on 26 June 2014. 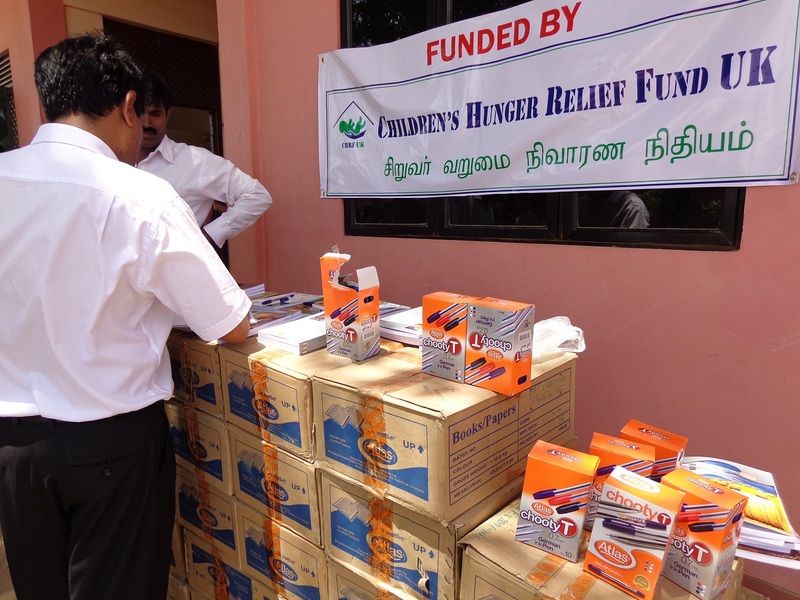 Children’s Hunger Relief Fund (CHRF) responded positively and made an appeal amongst their friends and families. They have received nearly £12,000 so far. The construction work is now starting on Monday, 21st July, and expected to be completed by 20th Sept.
We would like to share another good news with you. 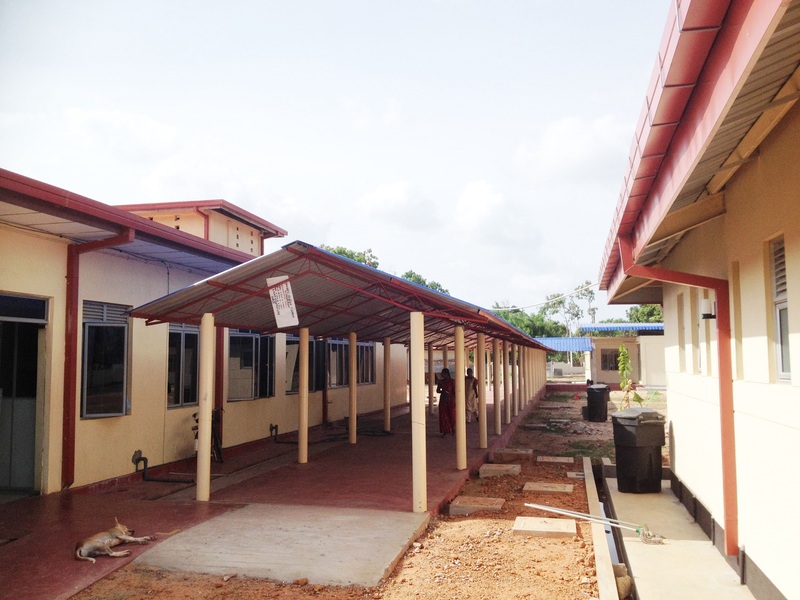 Further to our appeal on 30 May 2014, Children’s Hunger Relief Fund (CHRF), UK responded immediately to this appeal and pledged 66% of the cost of the corridor. With CHRF’s support and Assist RR’s funds, we have now completed the construction of the corridor. Some photos of this corridor are given below. I would like to thank CHRF profoundly on behalf of Assist RR and the people of Puthukudiyiruppu for coming forward at the need of the hour and supported this project. Especially, our sincere gratitude goes to Mrs Shantha Ganeshananthan of CHRF, for her selfless service to our unfortunate people back home. With the support of many kind hearted people and organisations, we can do a lot more to the needy back home. Following our visit to Sampoor in early May 2014, we identified a number of needs and made an appeal to assist the unfortunate people of Sampoor, who were displaced in 2006 and around 4000 of them are still living in 4 welfare centres in and around Sampoor. One of the needs identified was helping the children with exercise books and bicycles. 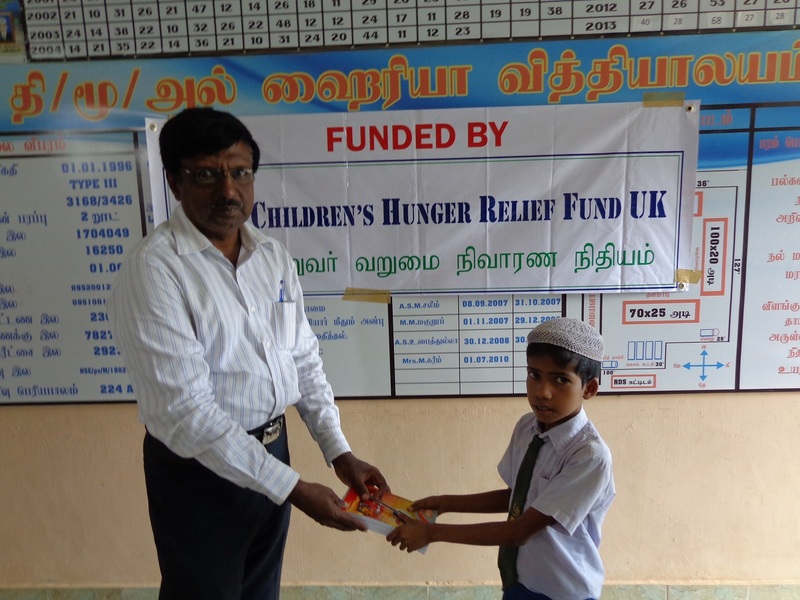 Following our appeal, Children’s Hunger Relief Fund, UK, immediately came forward and donated funds to purchase 2600 (200 pages each) exercise books, 550 pens and 5 bicycles. 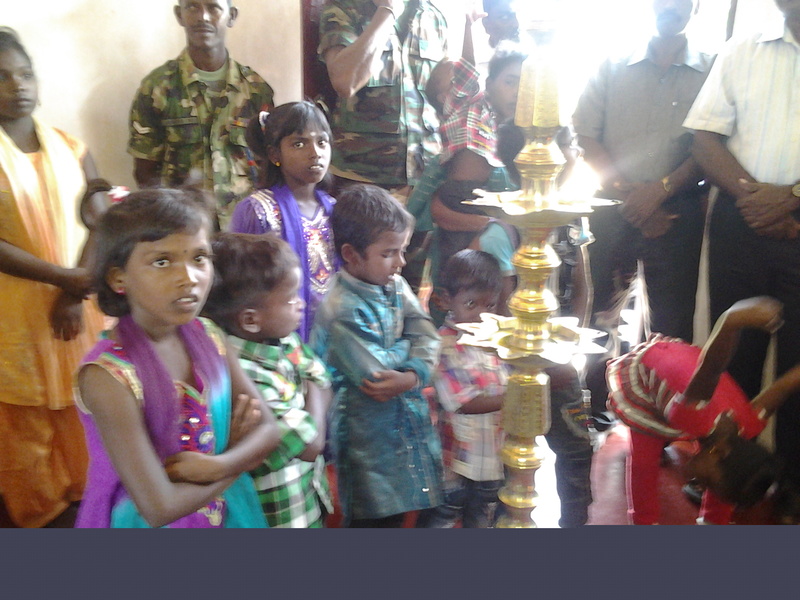 These items were handed over to nearly 450 children in 5 schools in Muthur district on 24 June 2014. 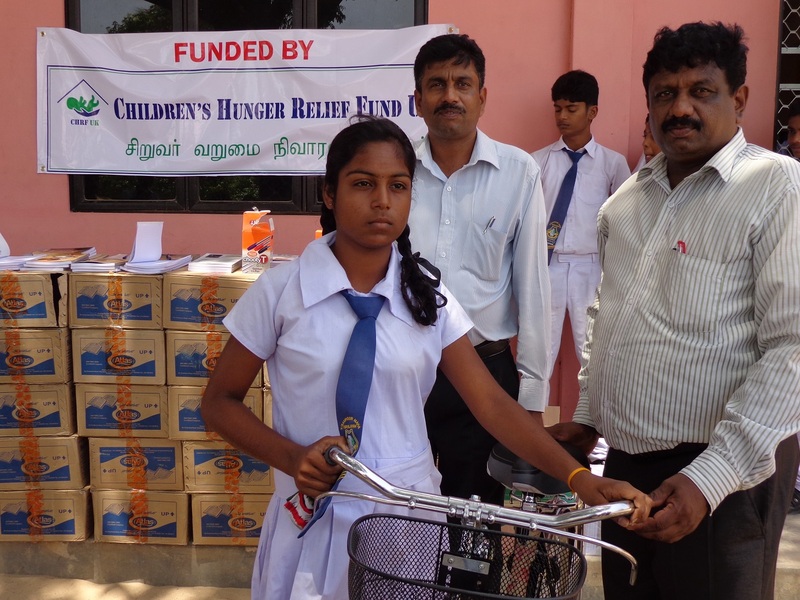 The bicycles were given to five A/L girls at Sampoor MV. They walk from Kunithivu, which is nearly 4 kM away from Kaddaiparichan, where Sampoor MV is now temporarily functioning. On behalf of the people of Sampoor and Assist RR, we would like to thank Children’s Hunger Relief Fund for coming forward following our appeal to help the children of Sampoor. There are still more needs in Sampoor, as identified in the link below. We hope other individuals/organisations will come forward to help these people. 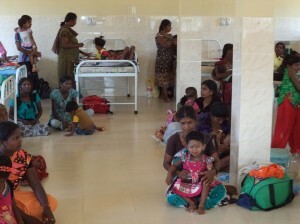 We are sure you remember a ward that was built by Assist RR at Puthukudiyiruppu hospital. This ward is currently being used as female and paediatric medical ward. 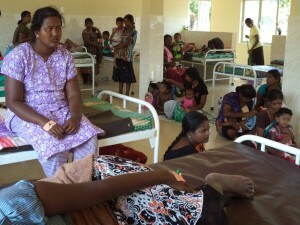 It has already started to over flow and patients are sleeping on the floor. 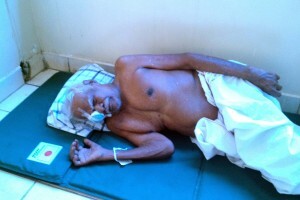 The hospital has no medical ward for male patients and they are still using the beds in the OPD area. 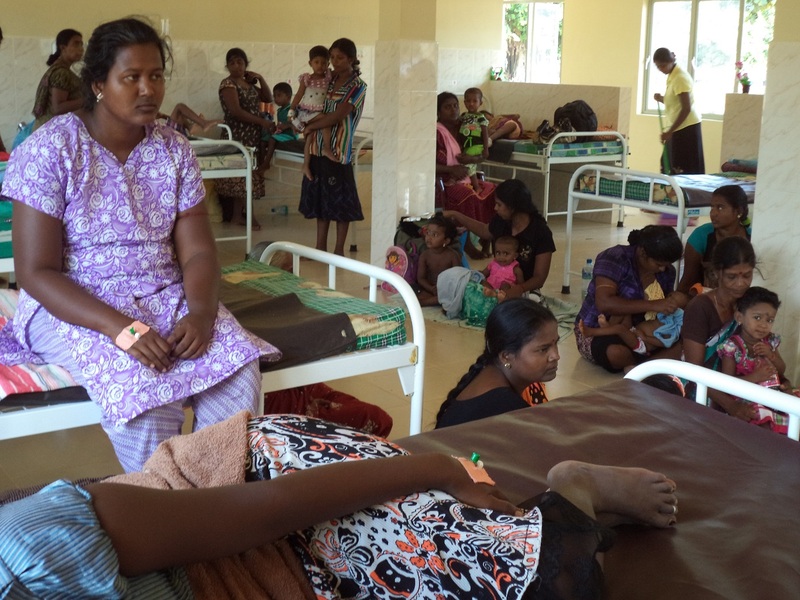 The ward built by Assist RR is capable of having another floor that can be used as a paediatric ward or a male ward until another ward is built. 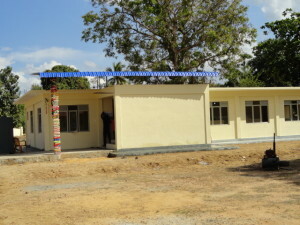 However, we are struggling to raise funds to build the first floor ward at a cost of around £22k (includes furniture). People affected by the war need our help to improve their standard of living. 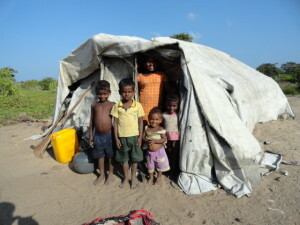 We, the Diaspora Tamils, are fortunate enough to help these people. I am sure many of us can afford at least £1. There are many organisations around the globe who can also contribute. It is not impossible. Please kindly share this with your friends and also consider either donating or raising funds amongst your friends and family. You can donate between £1 & £10 by sending a text ARRT01£? to 70070 to donate to this project and make a difference to PTK Hospital. Please insert an amount between 1 – 10 where the “?” is in the text message. Alternatively, please visit the website below for donating more than £10. A lady doctor, Phil Karthigesalingam, is walking 100 kM non-stop this weekend to raise funds for the same cause. 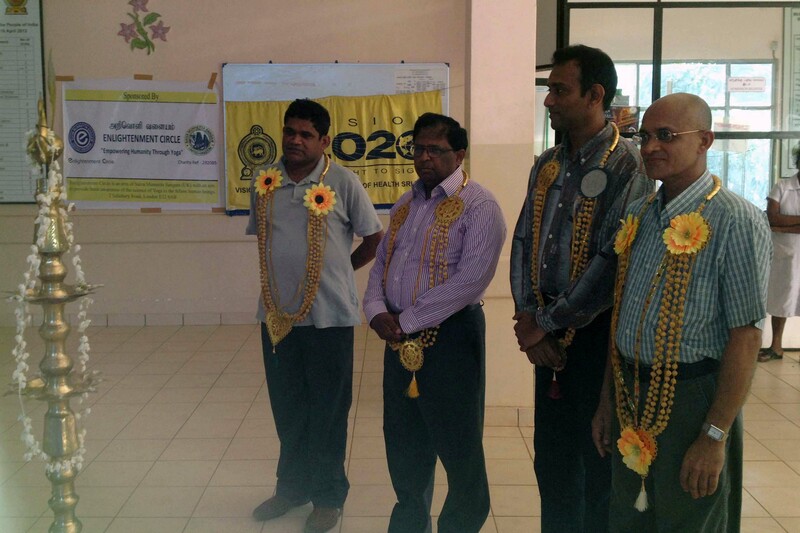 Please help……..
A cataract surgery camp, organised by Assist RR with the support of Vision 2020 and sponsored by Enlightenment Circle, an arm of Saiva Munnetta Sangam, a registered charity in the UK, was completed on 15 June 2014. Vision 2020 confirmed that they have restored eyesight to 108 patients at this camp. Dr Dias Jayasiri, the eye surgeon, who is now attached to Matara hospital, volunteered again to perform these surgeries single handed. We are pleased to inform that Dr Dias has now assisted nearly 500 patients to gain vision in the North and East through Assist RR. 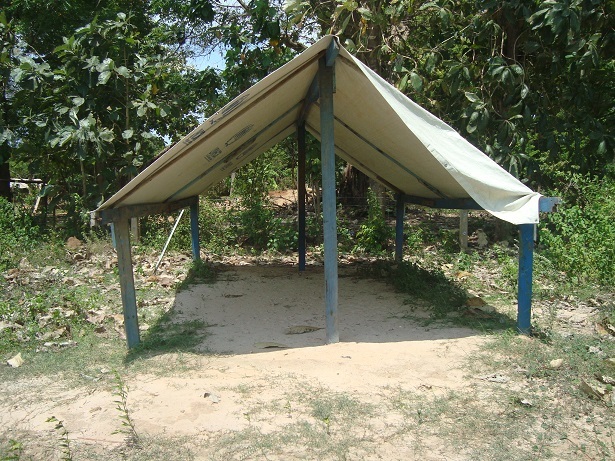 Vision 2020 has promised to carry out another two camps: one in Mannar; another in Mullaithivu within a few months. Assist RR would like to thank Enlightenment Circle for their support and funds to the camp in Mullaithivu and Vision 2020 for organising this camp to help the vulnerable in the North. 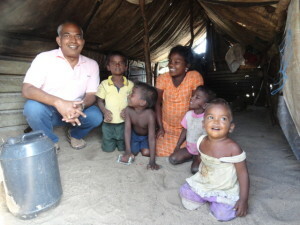 In particular, we would like to thank Dr Dias for his selfless service to the needy in the East and North. His willingness to travel from Matara to the North shows his dedication to help the needy. Araneri Pre-School was operating in a tent and was one of the top priorities in terms of the need. 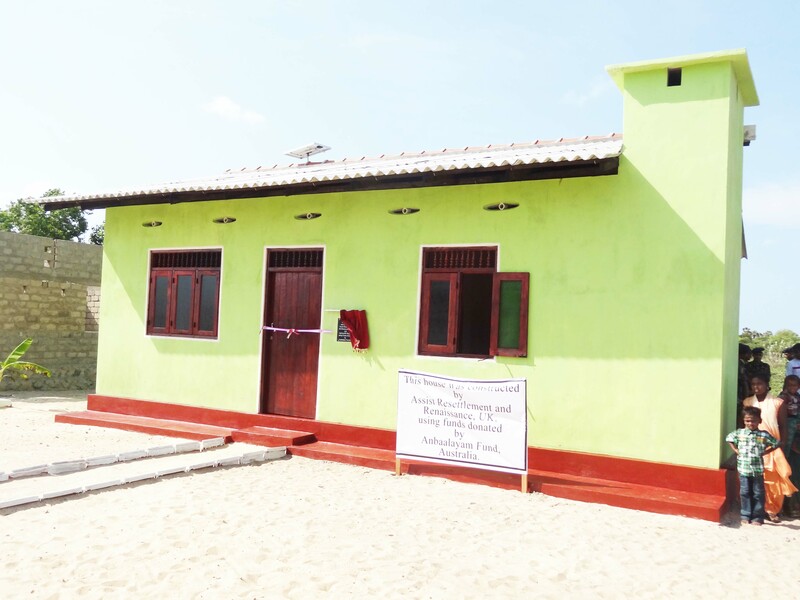 Mullaithivu District Educational Development Trust Fund approached Assist RR last year and made a request to construct a building for this pre-school. Assist RR agreed and made an appeal to its supporters. Assist RR also made a presentation to Tamil Forum Malaysia, who agreed to fund 60% of the cost of this project. Another two anonymous donors from Malaysia donated Rs 376,000 and Rs 37,000 respectively. The rest was funded by Assist RR. The project was commenced in March and was completed at the end of May. It was declared open by Mullaithivu GA, Mr Vethanayagan on 04 June 2014. Assist RR would like to express its gratitude to Tamil Forum Malaysia and two other Malaysian Tamil Diaspora donors for their generous support towards constructing the building for the pre-school. 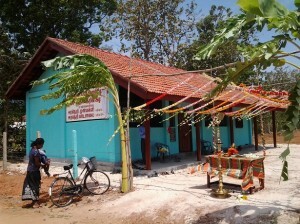 This is the third school building project funded by Malaysian Tamil Diaspora. A house built using funds donated by Anbaalayam, Australia, for a destitute family of eight, who were living in a tent in Mullivaikal East, was handed over to the family on 30 May 2014. Assist RR can see from the 4th photo is only the face of the eldest girl (to the far left of the 4th photo in yellow Suridhar), but not the house constructed. 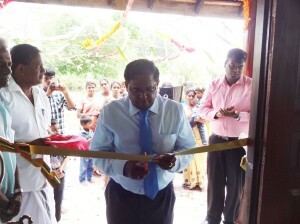 Assist RR also donated clothes to the family for the handover ceremony. Assist RR noticed that the children are very happy, active and intelligent. Some of them may benefit from hostel education. 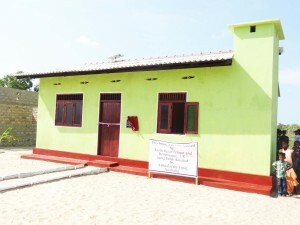 Assist RR would like to thank Anbaalayam for their financial support for the construction of this house. Anbaalayam’s assistance is much appreciated. This project proves that it is not impossible to help the needy.